Are you an existing Finance user or SAP consultant that needs to understand the impact of the new Universal Journal in S/4 HANA Finance? This course will demystify Classic GL vs. New GL vs. Universal Journal. 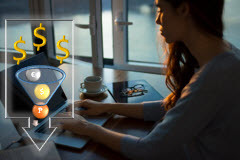 In this technical overview you will learn the evolution of SAP Finance, the impact on the technical financial tables and the business end user impact with a focus on reporting.